WHY is reducing my alcohol intake important? The effects of alcohol on your health will depend on how much you drink. The more you drink, the greater the health risks. Most people who have alcohol-related health problems aren’t alcoholics. They’re simply people who have regularly drunk more than the recommended levels for some years. • Men should not regularly drink more than 3–4 units a day. Units are a standard way to indicate the alcohol content of a drink, but you can’t just count each drink as a unit of alcohol. The number of units depends on the strength and size of each drink. HOW do I reduce my alcohol intake? Decide you are going to cut down and tell your friends and family so that they can support you. Identify certain days of the week when you will not drink alcohol at all. Have lower strength beers or low-alcohol drinks. Make your drinks last longer by adding mixers. Don’t eat salty snacks with your drinks as they will make you thirsty and want to drink more. Drink plenty of water or soft drinks so that you are not using alcohol to quench your thirst. 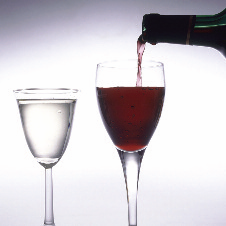 Keep a check on the units you drink using the guidance above or use an online calculator (www.drinkaware.co.uk).